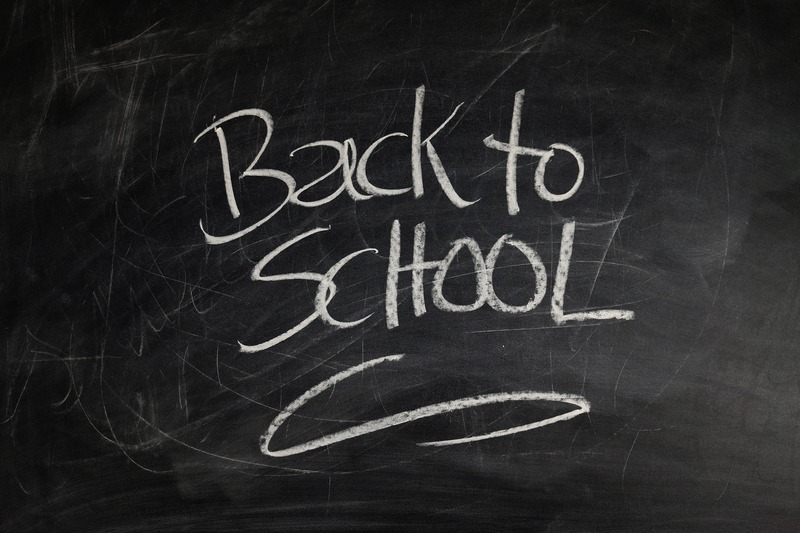 Whether you’re sending your kindergartener off for their first day, or you’re moving your college freshman into their new dorm room, it’s back to school season! As parents, we tend to remind our children good behavior before their first day: “Listen to your teacher, be nice to the other students, have fun, make friends, and don’t forget to call mom!” But let’s take a moment during this hectic and emotional season and remind our students what healthy relationships look like. There is no age that is too early to start talking to your child about healthy relationships, boundaries and respecting others. As young preschoolers you can talk about respecting teachers and peers, and when their best friend doesn’t want a hug, then no hugging for right then. As students get older, friendships and relationships grow, deepen and unfortunately become more complicated. Prepare your student for these relationships. Talk about good touches and bad touches, and who to report any inappropriate behavior to. Most importantly remind your student that it is ALWAYS okay to report bad behavior, even if the perpetrator says it is a secret, or they shouldn’t tell anyone because the victim might get in trouble – it is never the victim’s fault. Sadly, it is estimated that 1 in 3 teens have experienced some form of dating violence. And for you parents out there who can hardly imagine your 7-year-old as a teenager, let me share this scary statistic with you: studies have shown that dating violence starts as early as fourth grade. It’s a good idea to understand some basic warning signs of abusive relationships, and not be afraid to talk to your child about healthy relationships. Make sure to remind your child they can tell you anything, and if they do disclose something to you about a relationship – TRUST THEM. As a parent, it’s our goal to protect our children – never let anything bad happen to them, right? Well, unfortunately bad things happen, they fall off their bikes, get their feelings hurt, and remind us frequently how ‘we just don’t understand them’. When your child scrapes their knee, or breaks a bone – you know what to do, right? Well, what happens if your child finds themselves in an abusive relationship, or they were sexually assaulted or raped by someone they trusted? Do you know what to do then? Any special advice for those heading to college? For those students flying off to college this year, take special note – sexual assault on campus is becoming a big deal. Our former Vice President, Joe Biden, even started a special campaign targeted to college students, to engage all students to be active bystanders. You can learn more about the It’s On Us campaign here: http://www.itsonus.org/. The increased awareness of assaults on campus have intrigued journalists nation-wide, most recently a 40-year-old Glamour Magazine journalist wrote about her adventure going back to college to learn from college students, faculty and administrators themselves why assault numbers haven’t decreased yet. One finding was that freshmen have little social capital – they aren’t attached a group (sports team, sorority, etc.) that will help protect them. The most important take-away here is that sexual assault is NEVER the victim’s fault. Consent is no longer ‘no means no’ now think of it as ‘yes means yes’. Know where the Title IX office is, and if there are any organizations in the community, like the WCA, that can help you should anything happen. Can this violence be prevented? YES! But the only way to stop sexual violence and domestic abuse is to have abusers stop abusing. In the meantime, talk to your students frequently about healthy relationships, consent, and what to do if they find themselves in an unhealthy relationship. Invite programs like the WCA Prevention & Education program to speak to your schools, parent groups, and youth groups. Together we can put an end to this violence.